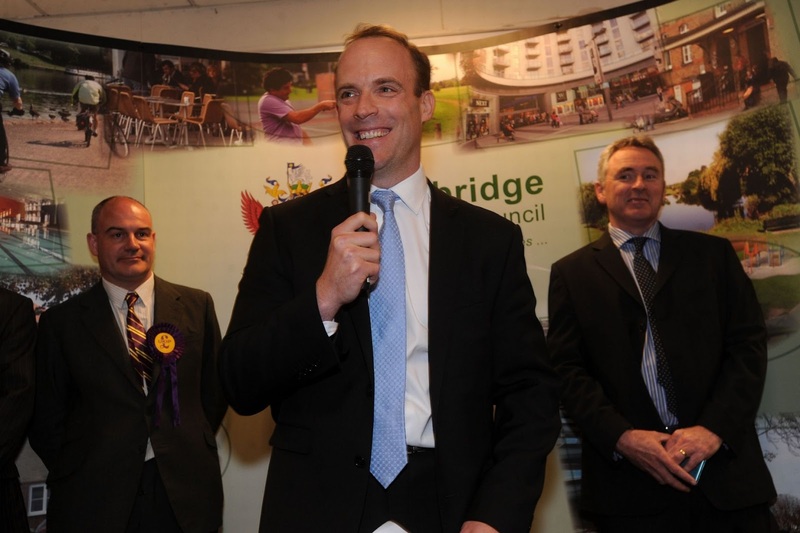 Dominic Raab, Conservative MP for Esher & Walton, discusses the future of Brexit and the Government's recent announcement about Heathrow expansion in an exclusive article for the Molesey Conservatives. Two big national issues will affect all Molesey residents. While the recent High Court ruling has created some additional uncertainty, it’s only a bump in the road. It won’t derail Brexit. In March, the government will begin two years of negotiations with the EU. Meanwhile, our economy continues to defy the referendum predictions of doom, with manufacturing and employment posting further growth. The IMF now predicts Britain will be the fastest growing economy in the G7 this year. Looking towards our future relationship with the EU, the government is working towards maintaining the free trade we currently enjoy. However, should the EU demand imposition of trade barriers, the UK retains some key advantages. Our exporters have already been boosted by the weakening of the pound, and are now in a much stronger position to compete internationally. Also, any tariffs that the EU imposes would, presumably, be reciprocated by the UK government. This would bring in around £12bn to the UK coffers annually, and could be used to support vulnerable business sectors. Now, the UK must work up a positive offer to our continental friends. We should aim for a continuation of barrier free trade, stronger co-operation on security matters and sensible reciprocal arrangements on visas and visa-waiver. If we approach Brexit with a positive and constructive mindset, we can secure a strong deal. Brexit Britain will be a modern, dynamic and global player – and the country can go from strength to strength. Beyond Brexit, the government has announced proposals to expand Heathrow airport. There is a compelling economic case, based on increasing long haul passenger and freight connections, to strengthen the UK’s international competitiveness. The government also announced a mitigation package of measures to safeguard air quality and protect local communities from disproportionate noise levels. Working with our energetic Molesey team of Conservatives, I will spend the months ahead nailing down the detail of specific assurances for Elmbridge. There is an opportunity to reduce current noise levels that we must grasp. Earlier this year we prepared petitions for roads near Hampton Court station asking the Surrey County Council Parking Review to address a long-standing problem over weekday rail commuter parking blocking all spaces on roads near Hampton Court station rather than parking in the under-used station car park. The petitions were overwhelmingly supported by 356 (82%) of residents and 52 (88%) of retailers and traders. The Parking Review has now been completed and was presented at the Elmbridge Local Committee meeting on Monday 3 October. Our proposals were rejected out of hand with the review team not even bothering to consult us or any of the road leads who were involved in preparing the proposals! The Parking Study’s objectives were to improve road safety, increase access for emergency vehicles, improve access to shops, facilities and businesses, increase access for refuse vehicles, buses and service vehicles, reduce traffic congestion and better regulate parking. We strongly believe our proposals were aligned with these objectives and that the reasons given for rejecting them were incorrect. We have not given up on this so we now feel residents should register their disappointment that our well-researched and strongly supported proposals were rejected out of hand based on an inaccurate rationale and understanding of what we are trying to achieve. We may yet be successful in persuading SCC and our reluctant MRA Councillors to listen so we ask you to make your views known by emailing the SCC Officer who led the review, Adrian Harris (adrian.harris@surreycc.gov.uk) with cc’s to the Chairman of the Local Committee, Margaret Hicks (margaret.hicks@surreycc.gov.uk) and to Peter Szanto (moleseypete@gmail.com). It’s important that every resident who signed the original petition now backs that up by sending a protest email as there is nothing the MRA would like better than to kick this into the ‘long grass’ and for it never to be seen or heard of again. It only took 52% to take the UK out of the EU so why is it possible for the MRA to ignore 82% of local residents – MRA’s ‘democracy’ in action! The reasons given by the SCC Parking Review Team for rejecting residents and traders proposal to introduce a one-hour weekday morning parking restriction in roads near Hampton Court station are flawed. The reasons for rejecting in the report are shown below in black. The responses in support of the proposals are in red. These were not listened to by the Molesey Residents Association Councillors. no off street parking available. The proposed permit scheme is not designed to create more spaces for residents in the specified roads. Indeed it will not, since it is only for one hour in the morning on weekdays. This is an opportunity for SCC to demonstrate integrated thinking on rail and road transport, since the proposal is purely designed to encourage rail commuters to park in the station car park which has plenty of free spaces and was designed for them. The parking strategy agreed by the local committee looks to stop introducing schemes that can cause displacement. This scheme would certainly displace vast numbers of vehicles, probably to streets that are already under heavy parking stress, and where residents have less off street parking (e.g. Kent Road, Park Road, Pemberton Road). Far from causing displacement, the proposal is designed to address existing displacement of rail commuters who are currently parking on these roads, blocking the spaces for the whole day. The large station car park is typically less than one third full, since rail commuters park on these streets to save themselves the car park fee. This blocks all the spaces in the streets for shoppers and visitors to Hampton Court, and the cafes and restaurants in the area. The cost for a shopper parking in the station car park is £6.50 if parking before 4pm, irrespective of the time they are parked; hence the station car park is not an option for most shoppers and visitors. Commuters can purchase weekly/monthly/annual season tickets for the station car park at significant reductions. An annual season ticket costs £720 (under £2 per day). Since the proposal is purely for a one hour morning restriction it is simply designed to drive commuters to park in the place which was designated for them. The streets suggested for the change were specifically selected to minimise displacement to streets further away, since the walking time to and from the station would be 14 minutes or more. It is unlikely that a significant number of commuters would do this. The existing uncontrolled space provides opportunity for local workers, who may be on relatively low pay, to park and work in the local area. Regarding parking spaces for local workers, the Retailer survey submitted to the review team included data from all the traders. It had asked all of them this specific question. Most had no issue with staff parking. Several did and this could be easily resolved by staggering the one hour morning restriction in the different roads, as was suggested to the review team in the submission. Indeed by moving the commuters to the station car park, more spaces would be available for staff for most of the day, since commuters tend to block the spaces before most of the shops and cafes/restaurants are open.. There are already limited waiting parking bays for shoppers in the Hampton Court area, such as Bridge Road, and Creek Road. It is difficult to conceive that there is a need to create what would be two or three hundred more parking spaces for shoppers to the area. The limited waiting parking bays for shoppers in Hampton Court area are very few, nowhere near sufficient for shoppers and visitors to cafes, restaurants and Hampton Court. I have been there numerous times when they are all occupied. It is a complete misrepresentation to say that the proposal is seeking to create two or three hundred spaces for shoppers. The whole of the roads were included to address the concern of displacement. If the review team felt that only limited parts of the roads should be included, they should have assessed this as part of the review. The comments on reduced parking by commuters on Palace and Wolsey Road causing a dramatic increase in speeds are not credible. such problems (see Annex 1). However, we do not think that congestion or safety issues are prevalent in these roads. This is ridiculous. The overwhelming majority of retailers and traders were in favour of the proposals which only involved a one hour restriction in the morning. Are the MRA and Officers saying they know their business better than the people who own/run them? Suspending parking doesn't help if commuters ignore it as they have done in the past. Molesey Hospital saved - but what happens next? I am very pleased to confirm that Molesey Hospital has been saved from closure, following a meeting by local NHS decision makers in Leatherhead on Friday afternoon. Former Molesey councillor Peter Szanto and I attended for the Conservatives along with MRA members and concerned residents, many of whom turned up with placards and banners showing support for the hospital. Surrey Downs Clinical Commissioning Group (CCG) held a public consultation on four options it was looking at to change how and where it will provide services in future. Two of those options involved the closure of Molesey's 120-year-old hospital and the transferral of its 12 beds to Cobham Hospital, which we had argued all along was impractical due to the poor public transport links, and undesirable given that the population of Molesey is greater than in Cobham. It makes better sense to site a community hospital in the area of the most potential patients, right? The GP-led CCG voted unanimously for 'option 2' which concentrates changes in Epsom and Ewell area and grants Molesey a reprieve. Everyone was delighted! James Blythe, director of commissioning and strategy for the CCG, called the consultation process "robust" and called the responses from Molesey "significant". He went on to say that it was desirable to have bed based units in key areas of the Surrey Downs patch, including in North Elmbridge. However he went on to characterise Molesey Hospital as having "significant physical challenges", ie in need of repair and they would "absolutely retain services but we would look at what sort of building and where". So clearly there are still a number of unknowns going forward, principally what will become of the current Molesey Hospital building? Reading between the lines it sounds like Mr Blythe and his colleagues feel that a modern facility is required, but will this be built on the current site or will the existing estate be sold or part sold to pay for a new hospital on another site, if so where? So overall great news and all credit to the fantastic Molesey community who have really got behind the cause of the hospital. But all of us - residents and local politicians - need to keep a close eye on how things develop going forwards. THE governing body of Surrey Downs Clinical Commissioning Group (CCG) meets next Friday to decide whether or not to close Molesey Hospital. The crunchtime meeting will be held in open public, at Leatherhead Leisure Centre in Guildford Road, KT22 9BL, from 1pm. We encourage you to go along and join us in showing support for keeping Molesey Hospital open. Why is closure even being considered? The CCG came into being in 2013 and decided to undertake a review into how services will be provided across the five community hospitals it runs. This review included a 14-week public consultation with events across the CCG catchment area including one at Mole Hall (pictured) which was well attended. Should Molesey Hospital close then its 12 hospital beds would transfer to Cobham Hospital, which is a newer facility but poorly very served by public transport. We estimate it would take an hour from West Molesey to Cobham by bus and about £30 return by taxi. As well as the beds, the outpatient services would also be "relocated" to the community. This is incredibly worrying giving the strain on existing GP surgeries in Molesey such as Glenlyn. James Blythe, Director of Commissioning and Strategy at Surrey Downs CCG admitted that NHS Property Services could sell the hospital site if it were found to be surplus to requirements. Click here for our interview with the CCG's James Blythe. Will Molesey RA councillors listen to residents over parking? MORE than 350 East Molesey households and 52 retailers backed the Molesey Conservative petitions for parking controls earlier this year. We have been calling on Surrey County Council (SCC) to introduce a weekday morning one hour period of residents only parking in Wolsey Road, Palace Road and other streets in the vicinity of Hampton Court Station. This would encourage rail commuters to use the near-empty station car park instead of blocking the spaces in East Molesey residential streets. It would stop drivers hurtling dangerously around these streets looking for spaces, improve safety for people exiting driveways and would benefit Bridge Road retailers by creating parking capacity during the day for shoppers. The petitions and supporting evidence were submitted by former Molesey councillor Peter Szanto and will be considered as part of the County Council's review of parking in Molesey. Peter and colleague Steve Bax have respectively campaigned on the issue of commuter parking in streets close to Hampton Court Station and had intended to steer it to a successful conclusion if they had been elected in May. But now it will be for Molesey's Residents Association councillors to help bring about changes or stand in change's way. Peter is sceptical given their past opposition, and said: “The RA councillors have opposed any parking controls. The question being asked now is whether they will listen to their constituents this time, in light of the safety concerns and supporting local businesses. “We petitioned over 430 households and received support from well over 80%. Out of 59 traders and retailers 88% were supportive, so there is clearly strong local support for these measured proposals." If the petitions are deemed by Surrey CC as worthy of acting upon, they would form part of a range of proposals to be debated by Borough and County Councillors at the Elmbridge Local Committee on October 3rd. Shortly before he stepped down as Prime Minister, David Cameron gave the go ahead for 31 new free schools - including one for the Molesey and Walton areas. ElmWey Learning Trust, who run Heathside School in Weybridge, submitted a bid to the Government for funding to open a free school by September 2019. Their business plan was accepted and the next stage is to find a suitable location for the school of up to 900 students aged 11-16. This could be in either Molesey or Walton but the fact the new school will be called Heathside Walton-on-Thames rather suggests that Walton is the preferred choice. So far the shortlist (if there is one) has yet to be made public. We do know that the new school will be able to call on existing expertise at Heathside Weybridge, it's sister school, which is rated Good by Ofsted and Outstanding for leadership. Conservative MP for Esher & Walton, Dominic Raab, is also supportive and has promised to work with ElmWey and Surrey County Council to help the new school get established. Lloyds bank is pulling out of Molesey on Monday (July 25) when its branch in Walton Road is due to close. The decision to quit is being blamed on a lack of footfall with the ridiculously low figure of "28 personal and business customers" said to be visiting the branch each week, now that that the majority of transactions are now carried out over the internet and smartphones. 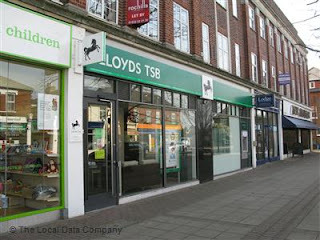 Lloyds said branch visits had declined by 19% reduction since last year as 73% of East Molesey based non-business customers use other branches or the internet. ill have a detrimental effect on the town centre. He said: “When Tesco built the Hurst Park store I predicted then that it would be the first nail in the coffin of the shops along the Walton Road. "When Barclays in West Molesey closed about 2 years ago, at that time questions were asked of Lloyds if closure was planned. When Saturday opening was suspended last year I again asked if this was a prelude to closure and again a negative was received. However, I now disbelieve the statements that were provided to MP Dominic Raab as I feel plans were in place some time ago. The statement we received from Lloyds Bank reads: "The East Molesey branch will close on 25th July. We have made the difficult decision to close this branch because of the changing way customers choose to bank with us, which has resulted in customers using it less often. "The way customers fulfil their banking needs is continuing to change and we have seen a significant decline in customers using this branch.